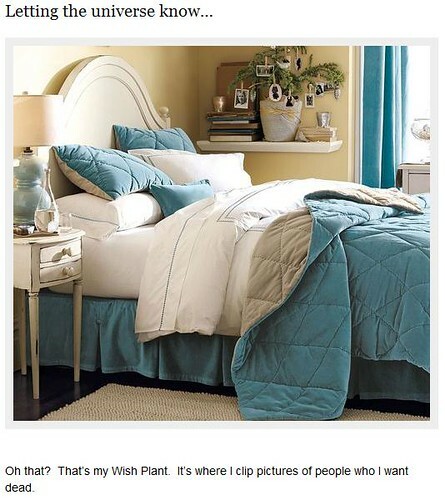 Mucho thanks to Katie at Whims and Inconsistencies who shared her heart for Catalog Living, my new favorite snarky blog. CL describes itself as "A look into the exciting lives of the people who live in your catalogs." As someone who's always wanted to live inside a Pottery Barn publication, this has eased the pain of that not being a reality. My friend Kara & I saw Date Night with Tina Fey and Steve Carell at the $1 theater this week. I laughed so hard during a car chase scene that I started to hyperventilate. I actually had to close my eyes and repeat the mantra "Calm down or you'll throw up." It comes out on DVD on August 10 but check your own local cheap seats for a big screen must-see. I adore Stevie Wonder. Whether it's Superstition, or Higher Ground, or For Once in My Life - I'm simply kinder and more productive when his music is playing. This embedded song is my current favorite - They Won't Go When I Go.